Sleeps 6 - Amenities include 1 queen bed, 1 mattress in each loft area, bed linens, sofa, television with cable hookup, refrigerator, microwave, coffee pot, small table and chairs, table service for 6 and basic kitchen utensils. There is no stove in these units. Sleeps 6 - Amenities include 2 queen beds, bed linens, sofa, chair, television with cable hookup, refrigerator, stove, microwave, coffee pot, table and chairs. Upon request will provide bed linens for pull-out sofa. 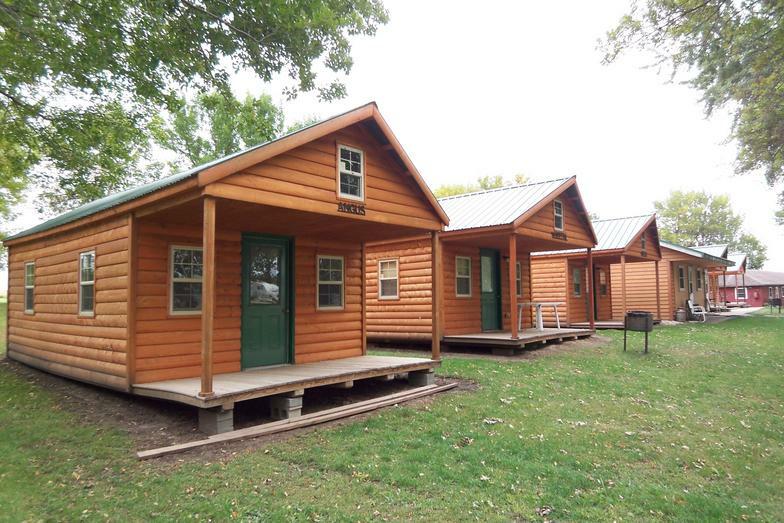 All cabins also have a charcoal grill, fire pit and picnic table. Firewood may be purchased at the Redwood Campground office. *Full amount due upon making a reservation. No Refunds if cancelled! 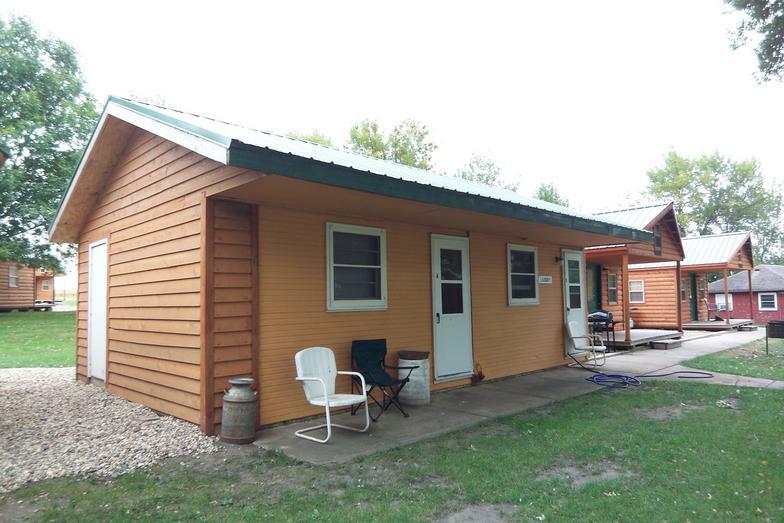 Reservations accepted year-round for cabins. - Speed limit is 5 MPH throughout the park at all times. - Quiet hours are 11 PM - 7 AM, seven days a week. - All pets must be on a leash. Owners are responsible for sanitary disposal of pet waste. Pets are not allowed in cabins or houses. - Minors must be supervised by someone 21 years old or older while occupying campground. - No drugs, drug paraphernalia, firearms, weapons or illegal activities will be tolerated. All offenders will be prosecuted. Additional $100 fee for payment plan. Season runs from April 15 to the last weekend in September. Two bedrooms and 2 bathrooms on each floor plus kitchen, living room and dining area. Laundry on the upper level only. Bed linens will be provided. Renter will need to bring bath linens, toiletry items, food and beverages supplies, sleeping bags and lawn chairs if needed.